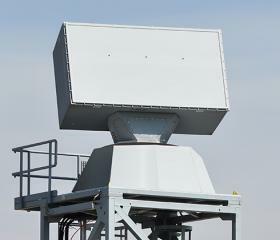 TRS-4D is a G-Band three-dimensional, multi-function naval radar for surveillance, target acquisition, self-defense, gunfire support, and aircraft control. 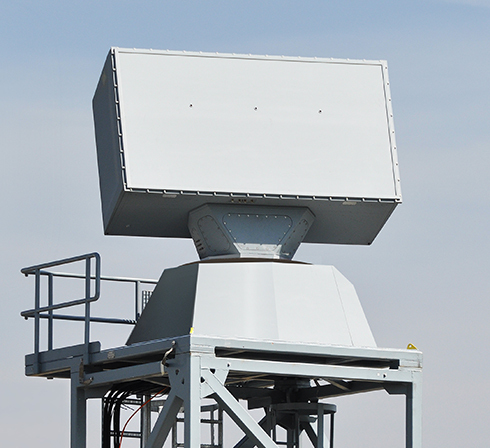 It is a software-defined radar using a rotating version of the Active Electronically Scanned Array (AESA) with multiple digitally formed beams. It automatically detects and tracks all types of air and sea targets, alleviating crew workload requirements. TRS-4D supports the countering of conventional and asymmetric threats. The TRS-4D radar simultaneously conducts a three dimensional search of the air space volume and sea surface area around the ship. It automatically detecting contacts in the air and surface to create tracks that are sent to the ship’s combat management system or radar console. The transmitter modules in the active antenna are solid-state modules in Gallium Nitride technology. The radar allows a graceful degradation of the transmitted power depending on the required maximum range.